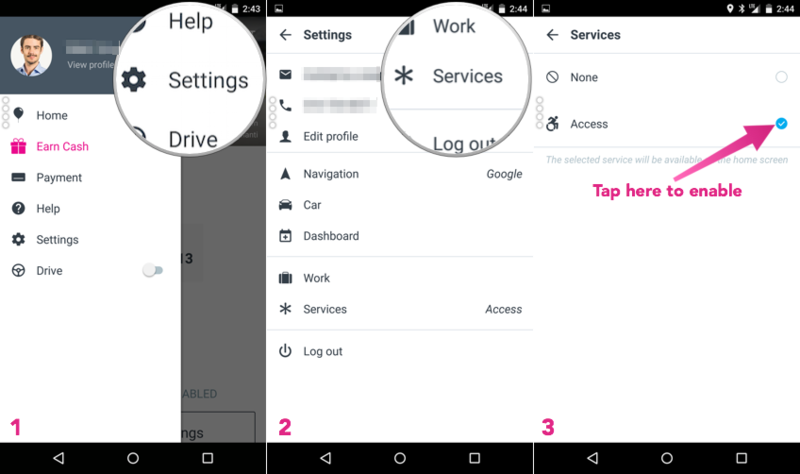 The Lyft app allows passengers with accessibility needs to enable Access Mode. In certain markets, when Access Mode is enabled, vehicles that are specially outfitted to accommodate wheelchairs will be dispatched in lieu of a standard Lyft vehicle. In markets where those vehicles are not available, information regarding local services will be sent directly to the passenger via text message when the ride is requested. Many of the below accessible vehicle dispatches must be booked at least 24 hours in advance. In order to utilize their service, you may want to consider first reaching out to the local dispatch to inquire about their sign up process. Depending on the vendor, it may take several weeks to complete the enrollment process before being able to book a ride in their respective cities.